Ceramic tile is made from clay silicate fired at high temperatures. The heat transforms the clay into a hard, durable, attractive material used for floor and wall coverings. Ceramic tile is also quite absorbent. Often, ceramic tile and grout are coated with a glaze that repels water and dirt, making it easier to clean. 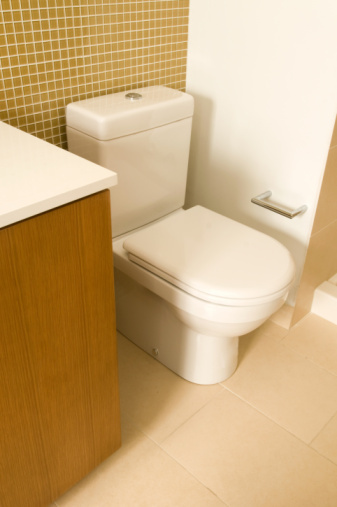 Unsealed ceramic tile can freely absorb dirt deep into its pores, nooks and crannies. 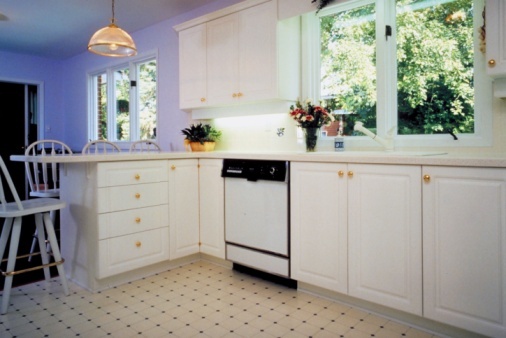 Consequently, it requires frequent cleaning to prevent discoloration. The best way to clean unsealed tile is with a scrubber and liquid bleach solution. Keep unsealed tile looking fresh with regular cleaning. Vacuum or sweep the tile to remove any loose dirt or debris. Mix a bleach solution. Tim Carter of Ask the Builder recommends using powdered oxygen bleach diluted in water according to the manufacturer's instructions. Mrs. Clean USA recommends using a solution of 1 part household bleach and 1 part water as an effective substitute. Saturate the unsealed ceramic tile and grout with the bleach solution. Leave the solution on for 15 to 30 minutes to allow for sufficient penetration. If the floor begins to dry out at any point, add more bleach solution. Dip your brush into the bucket of bleach solution so it is dripping wet. Scrub the tile vigorously to remove dirt, debris and discoloration. The area scrubbed should remain quite wet. Add more fresh solution if necessary. Scrub the grout with your grout brush, following the instructions in step 4. Mop the floor clean with fresh, warm water to remove the cleaning solution. Dry up any excess moisture with a cotton towel or dry mop.